Available soon! The Weld Central® is a Process Optimization System that monitors and tracks key (time-stamped) process variables, including current, voltage, wire feed speed, gas flow & feed motor current. This information can be utilized for both process optimization and determining the weld cell OEE (Overall Equipment Effectiveness). 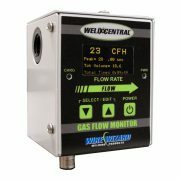 Combined with the Wizard View® software, the Weld Central® is the ultimate weld cell performance monitoring system! Controller includes Wizard View® Software Package (1 license per controller). Available soon! Request a quote to be notified when the new version of Weld Central® is available. The new Weld Central® is a Process Optimization System that monitors and tracks key (time-stamped) process variables, including current, voltage, wire feed speed, gas flow & feed motor current. This information can be utilized for both process optimization and determining the weld cell OEE (Overall Equipment Effectiveness). 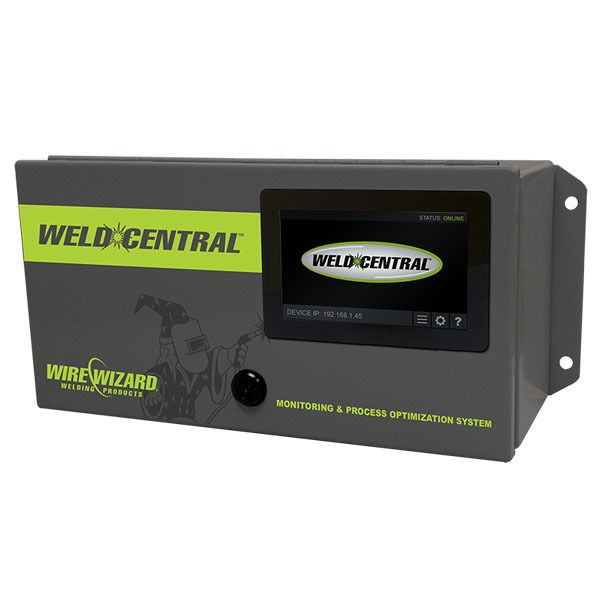 Combined with the Wizard View® software, the Weld Central® is the ultimate weld cell performance monitoring system! Controller includes Wizard View® Software Package (1 license per controller).